What do couples who describe their marriages as spectacular do differently than those who describe their marriages as simply so-so? The differences are quite small, actually. "When we look at happy couples, we see that great marriages are not the result of hours of hard work," says relationship researcher Terri L. Orbuch, Ph.D., who followed 373 couples for over 22 years as part of a marriage study funded by the National Institutes of Health. "It's small changes in behavior and attitude that can transform your relationship." In her new book, 5 Simple Steps to Take Your Marriage from Good to Great, Orbuch shares the steps you can take to marital greatness. 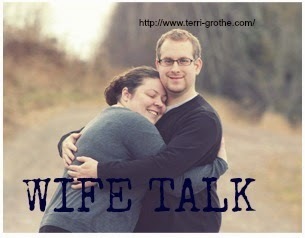 "The main reason marriages break up is not conflict, communication problems, or sexual incompatibility," Orbuch says. "It's frustration — the day-to-day disappointment of the gap between what you expect and how your partner acts — that is most damaging." To diffuse that frustration, share your expectations with each other. Maybe you desire more affection and he craves more relaxed couple time. "And be sure to check in with your partner once a year, as added pressures or life changes can create new expectations," Orbuch says. A weekly date night is always recommended as a way to reconnect, but sometimes all you need is a few minutes. "I call this the 10-Minute Rule: Take 10 minutes a day to talk about anything — except for kids, responsibilities, or chores," Orbuch says. Throw out Mom's old advice about how an air of mystery keeps the flame alive: Orbuch's research showed that 98 percent of happy couples say they intimately understand their partners. And knowing your spouse intimately isn't always about engaging in heavy conversations: Anything that helps you learn something new will bring you closer, Orbuch says. You can bond over why you think your dog is the smartest one on your block or which superpower you'd want most. You'll get to know each other's inner world and strengthen your bond of happiness. The best way to make your relationship better is to work at fixing what's wrong, right? Nope. "The most effective way to boost fun and passion is to add positive elements to your marriage," Orbuch says. "That positive energy makes us feel good and motivates us to keep going in that direction." This doesn't mean that you can't feel — or talk about — anything negative, but "pretend you are weighing your interactions on a scale," she says. "If you want a happier relationship, the positive side needs to far outweigh the bad." The more you honor the love and joy in your bond, the sooner you'll transform your marriage into one that is truly great. I love the idea of taking 10 minutes out of the day to reconnect with one another. Good advice, Terri! It's about keeping the main things the main thing. Such a good reminder post. I felt led to write about marriage today as well! I'm thankful for a healthy relationship. These are great tips for a great marriage. We also try to nourish a healthy sense of humor. It's hard to stay mad when you are laughing. I love the take 10. My hubby and I really need to work on that. I think it'll make a great example for my girls. Thanks. That last quote that says Marry the person you can't live without is what my mom said to me when I was about to marry a guy who I wasn't in love with. I broke up with him the next day. I figured I could "live with" anyone. 6 months later I started dating my now husband - we will be married 10 years in May and I can't imagine living without him. I love him more every day and he really is my soul mate! 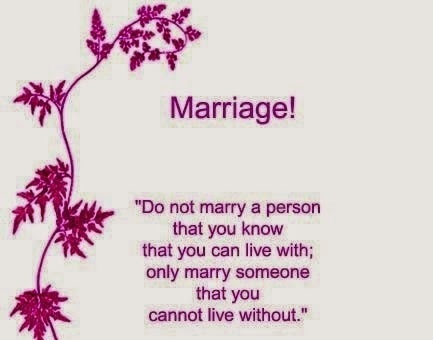 Thanks for this post, marriage can be spectacular!! Take 10 is awesome! It has been hard for my husband and I to get away so this is a really helpful advice! 10 minutes a day is a FABULOUS idea! It keeps the lines of communication open and things flowing. I'm trying this ASAP!